President Trump’s wall will repurpose a large amount of land on America’s southern border, but some parts are more essential than others. 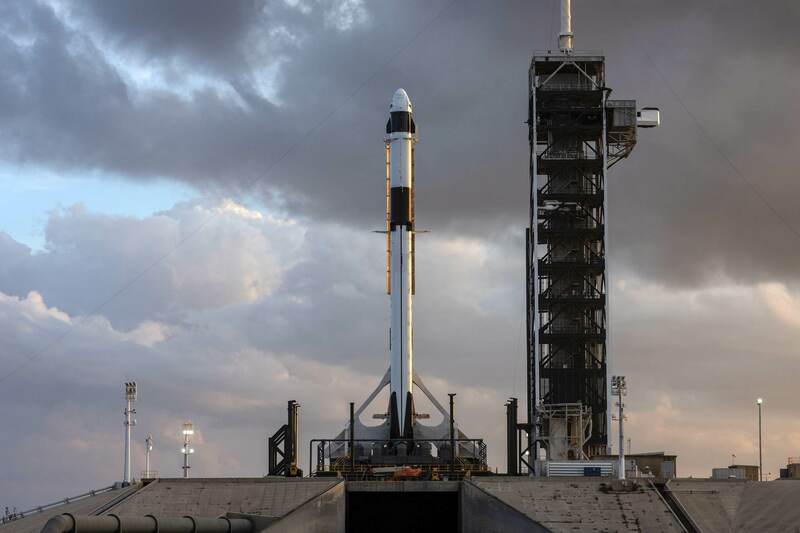 “This issue with SpaceX is that the fence cuts right through their property and that’s a problem,” said Lucille Roybal-Allard, who heads the Homeland Security spending committee. Moving the facility would cost $100 million and another five years, which would not only wreak havoc on SpaceX but the local economy as well. SpaceX received $20 million in benefits to put the launchpad in Boca Chica (near Brownsville) due to the struggling economy which needed the 500 jobs it brought. Democratic Representative Filemon Vela told Bloomberg that SpaceX isn’t happy but hasn’t raised objections nor spoken to Congress about the matter. "They are way behind the scenes on this, they are lying pretty low," said Vela. "SpaceX doesn’t want to offend the Department of Homeland Security." When asked, SpaceX commented that Homeland Security and Customs and Border Protection want access to the site to survey it. “At this time, SpaceX is evaluating the request and is in communication with DHS to further understand their plans.” Neither Homeland Security nor Customs and Border Protection has commented on the matter. This raises the question, does a highly secure launch facility really require a border wall to stop people walking through it? Probably not, says Vela and Roybal-Allard, who have crafted a letter to Republicans adding the site to the list of areas that should be exempt from the wall. It seems at this point, SpaceX is waiting for construction workers to come knocking on the door before acting. That’s probably not a bad idea, given that the area is likely to be one of the last to get the wall, if at all. Well if they are stupid enough to cross the border on a launch pad. They deserve what they get. There is not any other way to look at this. Before you write something ignorant like that, please take a look where exactly are SpaceX's facilities. I will give you a hint. US/Mexican border is in the middle of Rio Grande river and facilities are not at or in the river. mbrowne5061, Reachable, btfsttg and 3 others like this. Hey, you never know when Elon will decide to launch something off of a boat. "It seems at this point, SpaceX is waiting for construction workers to come knocking on the door before acting. That’s probably not a bad idea, given that the area is likely to be one of the last to get the wall, if at all." Better check the IDs of those construction workers, senor..
SpaceX are probably not worried about it, that's why they haven't said anything. They know a wall will never be built there, I doubt there will be much of a wall anywhere at all by the time Trump is gone. They need to get as south as possible and closer to the equator while maintaining strong transport to their assembly facilities in California, that is about as good as it gets by rail. They won't be moving anytime soon. There is nothing ignorant about suggesting, someone may end up crispy if they try crossing at a launchpad. I'm not the one surveyed the land for fence to stop illegal crossing. You can't put that ignorance on me, if it is not actually on the border. Anyone who bothers to look at a map of the area knows that no wall is going to be built there, no matter what line is drawn in a map at DHS. If they do plan to build a wall there, then that violates Trump's promise not to waste money on building walls where there are natural barriers. The fact is that there are 10 miles of coastal swampland/Rio Grande delta to the east of Brownsville, and that is exactly where the SpaceX facility is, for that very reason (I.e. land that is useless to anyone other than a space launch company). Furthermore, if anyone (including the DHS) thinks that the SpaceX facility isn't going to have a fence around it, then they clearly aren't thinking. All Trump has to do is build his wall up to the edge of that fence, or perhaps around the outside of it. Damn you Mask, you smart soab, you! He knew it all alone. It is his plan B for cheap llabor in case business goes down. Any day he can replace his workers and drastically cut expenditures and then bring the profit back. What to say here, man is a genius. "SpaceX received $20 million in benefits to put the launchpad in Boca Chica (near Brownsville)"
It's highly unlikely that the wall would follow the border exactly. It's more likely that that the wall would be a considerable distance into US Territory. SpaceX did not build their launch pad across the border.It's actually about 2.5 miles away from the border on the opposite of the Las Palomas Wildlife Management Area. Before you make any more inane comments take a look at a map. Once again I can care less where they plan on making the wall or where the border actually is. Stop taking my comment where I was not intending it to go. I was commenting on the thought of people crossing over a launch site period. Regardless where that may be. What is with you? Are you pissed about the creation of the wall? Are you this Anti-Trump? Give it a break! Sheeesh!! !